Places to stay: Those seeking hotel or inn accommodation are best served by the larger (and more famous) village of Broadway which is just a short distance down the hill and across the border into Worcestershire. Here the heritage enthusiast and period property connoisseur will find plenty of options. 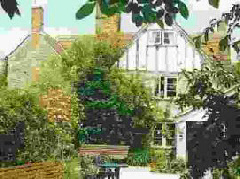 These include Mill Hay Country House which provides luxury bed & breakfast accommodation on Snowshill Road, and The Dormy House Hotel near Broadway Golf Club (both can be found at Broadway’s page at LateRooms.com). Also see our specific pages for the world famous Lygon Arms (whose connections to the English Civil War are well documented), and the historic gem that is Abbott’s Grange. However, there are plenty of self-catering options in the village (a number being operated by the National Trust) and holiday cottages such as Hill View Cottage. 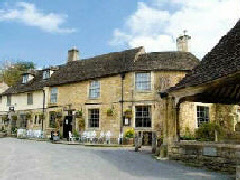 Places to stay: As with Snowshill, those seeking hotel accommodation are best served by Broadway. Also nearby is the historic little town of Winchcombe where there are a number of bed & breakfasts including Wesley House (see our specific entry for Wesley House). 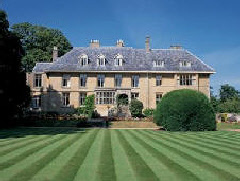 Also worthy of note is the castle’s former hunting lodge, now called Westward at Sudeley Lodge, which was built in 1730. Also worthy of note is The Mount inn at Stanton which serves good food. Places to stay: Avebury possess several period property accommodation options including The Red Lion, Manor Farm, and The New Inn (details on all at TripAdvisor). Also worth mentioning is the White Horse at nearby Compton Bassett. Dating from the early 1700’s, it offers highly-rated B&B accommodation which is within easy reach of both Marlborough and Bath. Places to stay: Castle Combe boasts several notable old places to stay including The Manor House Hotel – a truly stunning building with a reputation for excellent hospitality (see our main entry for Manor House Hotel). The Castle Inn, meanwhile, has 12th century origins and offers 12 en suite rooms. If you visit Lacock and are overcome by a sense of déjà vu, worry not. 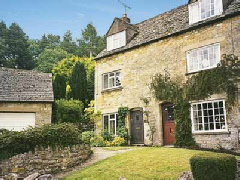 The truth is you will most likely already be very familiar with the place given the number of films and television series filmed largely or in part in this glorious Cotswold village. Places to stay: Dating from the Georgian period, The Red Lion offers bed & breakfast accommodation, while the exquisitely titled Sign of the Angel (details at TripAdvisor) dates from the 15th century and oozes history from every beam. Older still, though, is King John’s Hunting Lodge which might well have been frequented by the monarch during the early 13th century. See our main entry for King John’s Hunting Lodge.